Agent Green published shocking data from second forest inventory, which has been kept secret so far. According to official logging allowances in forest management plans, not more than 18 Mio cubic meters of timber can be cut legally per year. But in reality more than 38 Mio cubic meters are being logged down, as the forest inventory shows. Every year. 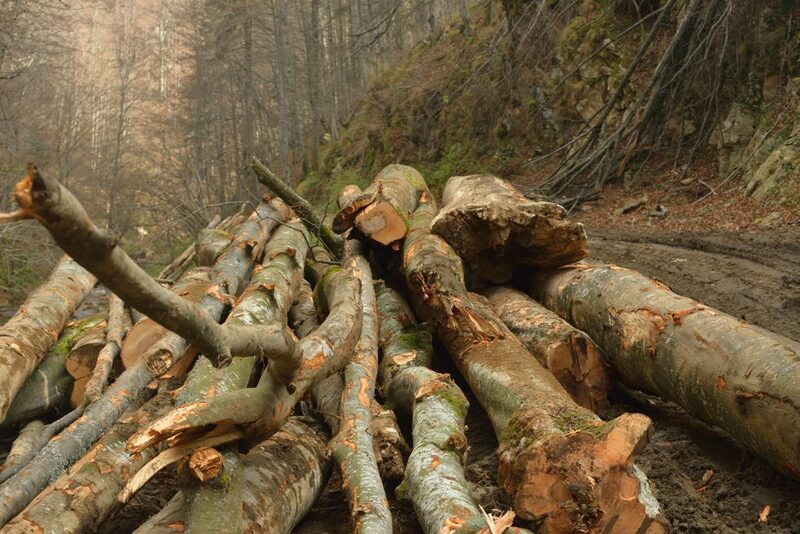 20.6 Mio cubic meters / year of timber exploited above the maximum allowed is “a shocking value of catastrophic size and an attack on both safety of the citizens of Romania and on biodiversity. Authorities have totally lost control of sustainable forest management”, Agent Green says. Agent Green, an Environmental NGO, is concerned about the results of the second cycle of the National Forestry Inventory (IFN), designed to analyze the entire forest vegetation in Romania (the national forest fund and forest vegetation outside the national forest fund) results that without any justification were delayed to be made public. The results of the 2nd IFN, regarding the total volume of wood that was extracted annualy in Romania, have not been published, but the information that Agent Green obtained shows that illegal cuts have not diminished in recent years, but have increased significantly compared to the results of the first cycle of IFN and shows that the size of illegal logging has reached enormous, unprecedented industrial values. Central, regional and local authorities have totally lost control of sustainable forest management. According to Agent Green, the verifications made by specialists for the second IFN cycle, drawn up between 2013 and 2018, show that approximately 38.6 million cubic meters of wood were harvested annually. Mr. President, according to the forest management plans, the maximum volume that can be harvested from Romania’s national forest fund is 18 million cubic meters per year. This means that an additional 20.6 million cubic meters per year have been illegally exploited, and not 0.4 million cubic meters as publicly announced by the Ministry of Waters and Forests less than a year ago. For 4 full years of IFN cycle II (2014-2017), 82.4 million m3 of wood (20.6 per year) would have been illegally cut. This volume of wood represents the equivalent of 242,352 hectares of completely razed hectares. 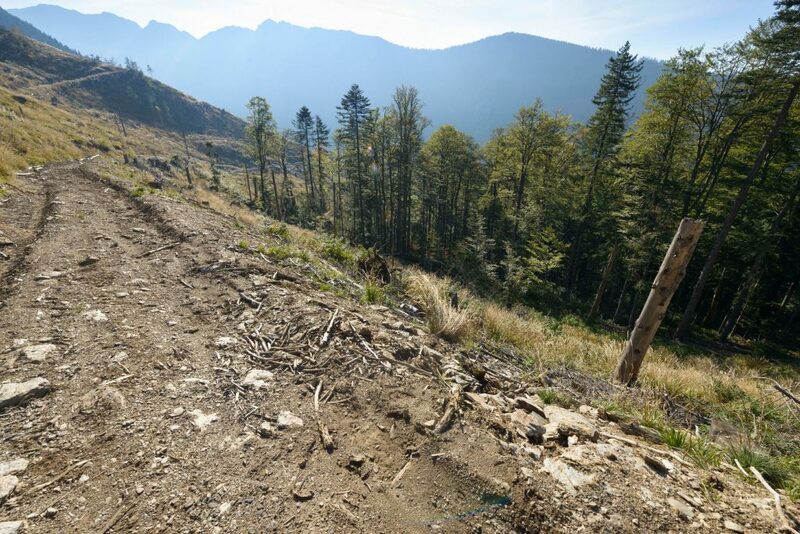 In other words, a forest area equivalent to nearly half of the whole Brasov County, disappeared during 2013-2018. 20.6 million cubic meters of timber exploited above the maximum allowance is a shocking value of catastrophic size and an attack on the safety of the citizens of Romania and an attack on biodiversity. These numbers show vulnerability of both the state institutions with the right to control and law enforcement and the wood industry (superior exploitation and processing), an industrial branch that participates in the construction of Romania’s GDP. But especially this value (considering that much of the 20.6 million “disappeared” from the national forest fund and not outside of it) questions the national security and the Romanians’ right to a clean environment. The selling of this illicit timber, on the black market without any documents , has caused immense damage, both financially and environmentally. A calculation, which took as reference the lowest price of 50 euros / cubic meter of firewood, Shows that the value of these illegal cuts is at least 4 billion euros in the last 4 years. This value is far from being the real one, as part of the extracted wood has been processed and sold at much higher prices in the country and abroad. From the data obtained by Agent Green investigators, IFN results show that the most affected region of these cuts is Moldova (over 8 million cubic meters), followed by Transylvania (about 6 million), Muntenia (over 4.5 million cubic meters) and other 2.1 in the rest of the regions. The specialists who talked with Agent Green investigators and who participated in the data processing explained that according to the type of property, the 20.6 million cubic meters above the maximum allowable volume, affected the private entities forests, followed by the Territorial Administrative Units (city councils), followed by Historical Associations (Obsti, Composesorate) and the public property fund managed by Romsilva National Forestry Company. According to our information, the last two “entities” were almost equal in IFN reports, a dramatic reality, as the state property administrator Romsilva has always reported downward figures on illegal cuts. Mr President, Prime Minister, we are particularly worried about the results of the IFN, which must be made public as soon as possible for specialists to be able to analyze this catastrophic figure of 38.6 million cubic meters harvested annually. There are officials from state institutions who want these values ​​to never be made available to citizens, or the figures to be modified so that the disaster in the forests of the country is diminished by reducing or re-interpreting these data. The results of the second IFN cycle are even more dramatic because the first cycle results of the National Forest Inventory has highlighted that annual illegal exploitation in 2008-2012 was 8.8 million cubic meters, a value 234% lower than the results of the 2nd IFN cycle. The current situation proves that both national legislation and European legislation (EUTR and FLEGT) have been flagrantly violated. 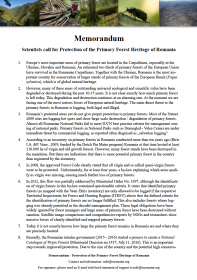 We consider that the lack of a long-term strategy of the Romanian state regarding the sustainable management of this renewable resource, the weakness of state institutions with the right to control and law enforcement, but especially the level of corruption in key institutions are the main reasons for this disasters and huge damages to Romania’s forests and biodiversity. We are addressing your Excellencies and the Supreme Council of Defense hoping that the necessary steps will be taken to stop the scourge that has systematically covered the country’s forests. That is why we ask you to take the official steps necessary for the forthcoming publication of the results of the National Forestry Inventory regarding the disappearance of tens of millions of cubic meters of wood. 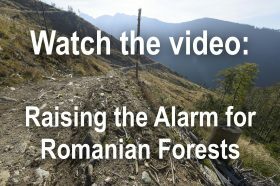 We also ask you to support the launch of an investigation by the Romanian General Prosecutor’s Office, in order to identify and sanction those responsible for this catastrophe – representatives of the Romanian state who have allowed our country to come to this unprecedented situation and those who have actually participated in the destruction of the forest fund and forests outside it. We also advocate for strengthened legislation to tighten up punishments, enforce the law on forestry compliance and develop a medium and long-term strategy for sustainable forest resource management at national level. A strategy that strikes a balance between social and environmental principles. We urge the Ministry of Waters and Forests, the Ministry of Environment, the Ministry of Agriculture and Romsilva to start a large refforestation process at national level, in areas where illegal cuts have irreparably affected the environment and the quality of community life. The development of the „Forest Inspector“ online system must be urgently unlocked. Functions that have been deleted or canceled must be reopened and active (exploring data older than 72 hours). Control should also be extended to timber deposits, where the absence of an electronic register leads to the mixing of legal timber with the illegally exploited timber. The boundaries of all protected natural areas (Natura 2000 sites, national parks, nature reserves and natural monuments) should also be added. We call for the development and operation of the SUMAL system, which is currently blocked at a rudimentary stage, the use of state-of-the-art technologies for the rapid calculation of wood volumes (scanners) and satellites that allow an analysis of the evolution of the forest fund. We urgently call for the prohibition of forest exploitation in national parks (1,3% of the country’s surface) and the establishment of the new Ciucas, Făgăraş, Giumalău and Ţarcu national parks as a minimum concrete and applicable compensatory measure against illegally exploited forest areas. We call for a restructuring of the entire forestry system in terms of establishing total forestry transparency, the way in which the traceability of the exploited timber is planned, approved, verified, exploited and ensured and the forestry employees are responsible protect and manage this resource irrespective of the type of property (state / private). Romanian’s forests are not only a raw material resource for industry but, above all, they play an extremely important role in providing the environmental services that depend on the security and safety of the citizens of this country. Mr. President, Prime Minister, Romania suffers the worst environmental crisis at European level, a situation that urgently requires your intervention and the CSAT. Romania will take over the EU-Presidency on January 1st, 2019. The eyes will be on Romania. 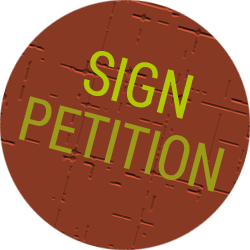 Here you can sign our urgent call to take action now. Romania / Domogled – Valea Cernei National Park: Logging of centuries old trees in Radoteasa valley in Cernisoara Virgin Forest – in the middle of the national park.